"An examination by The New York Times, based on interviews with more than 30 current and former law enforcement, congressional and other government officials, found that while partisanship was not a factor in Mr. Comey’s approach to the two investigations, he handled them in starkly different ways. In the case of Mrs. Clinton, he rewrote the script, partly based on the F.B.I.’s expectation that she would win and fearing the bureau would be accused of helping her. In the case of Mr. Trump, he conducted the investigation by the book, with the F.B.I.’s traditional secrecy. Many of the officials discussed the investigations on the condition of anonymity because they were not authorized to speak to reporters. The Times found that this go-it-alone strategy was shaped by his distrust of senior officials at the Justice Department, who he and other F.B.I. officials felt had provided Mrs. Clinton with political cover. The distrust extended to his boss, Loretta E. Lynch, the attorney general, who Mr. Comey believed had subtly helped play down the Clinton investigation. 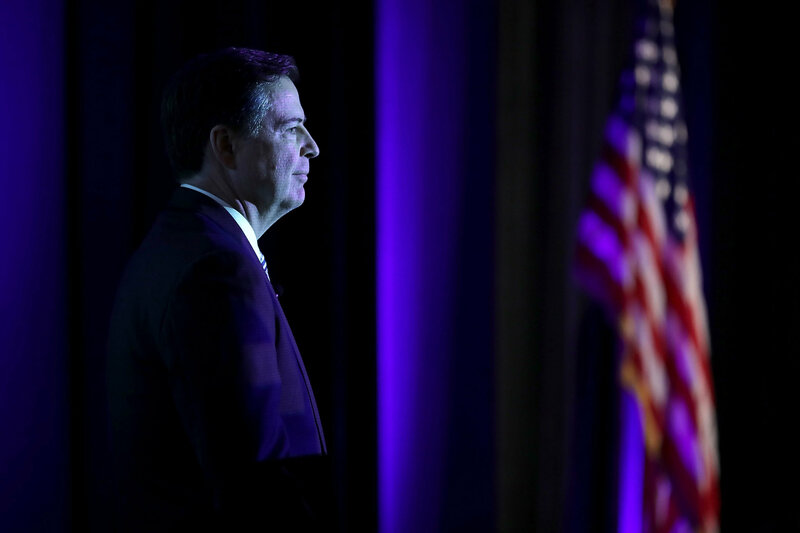 His misgivings were only fueled by the discovery last year of a document written by a Democratic operative that seemed — at least in the eyes of Mr. Comey and his aides — to raise questions about her independence. In a bizarre example of how tangled the F.B.I. investigations had become, the document had been stolen by Russian hackers. The examination also showed that at one point, President Obama himself was reluctant to disclose the suspected Russian influence in the election last summer, for fear his administration would be accused of meddling. But circumstances and choices landed him in uncharted and perhaps unwanted territory, as he made what he thought were the least damaging choices from even less desirable alternatives.